Gov. Larry Hogan and Baltimore Mayor Catherine E. Pugh launched the $27.3 million “North Avenue Rising” project to add key transportation and infrastructure improvements to revitalize the North Avenue Corridor in Baltimore. Hogan, Pugh, Maryland Department of Transportation (MDOT) Secretary Pete K. Rahn, and MDOT Maryland Transit Administration (MDOT MTA) Administrator Kevin Quinn were joined by federal, state, and local elected officials along with business and community leaders at Impact Hub Baltimore to celebrate the start of the design and public engagement phase of the project, which includes seeking community input. 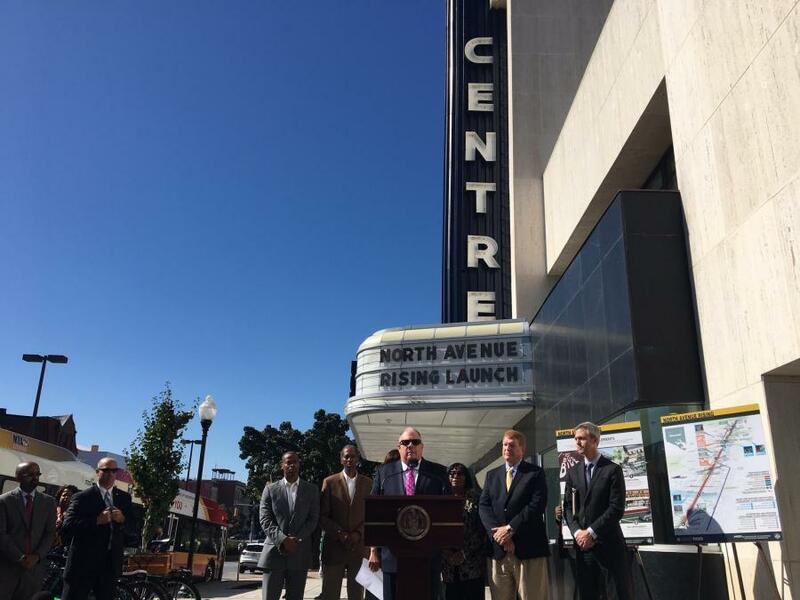 “By working with our federal, state and city partners, North Avenue Rising will have a transformational effect on this area and will make changes that will have the most direct impact on the services the citizens of Baltimore use and need the most,” said Hogan. The project is a joint effort between Baltimore city and MDOT, with state, local and federal funding including: $14.7 million from MDOT, $1 million from the Baltimore City Department of Transportation, $10 million from a U.S. Department of Transportation (USDOT) Transportation Investment Generating Economic Recovery (TIGER) grant, and $1.6 million from USDOT Federal Highway Administration. MDOT MTA will revitalize a 5-mi. stretch of North Avenue with improvements including: dedicated bus lanes; transit signal priority; bike facilities; enhancements to Light RailLink and Metro SubwayLink stations; improvements at major bus stops and sidewalks; streetscaping; and roadway repaving. “Modern, comprehensive infrastructure improvements that support multi-modal transportation for city residents increases economic opportunity. An effective mass transit network will improve the quality of life of our residents,” said Pugh. With the start of the design and public engagement phase of the “North Avenue Rising” project, the MDOT MTA will hold four public workshops to gather community input on the improvements planned for North Avenue. “We encourage all Baltimore city residents to come out and help design this transformative project that will strengthen economic development efforts in the corridor and improve the quality of life for Baltimore communities for years to come,” said Rahn. MDOT MTA's CityLink Gold runs along North Avenue and connects Metro SubwayLink and Light RailLink systems. CityLink Gold is one of the busiest bus lines in Baltimore carrying nearly four million passengers a year. “The transportation improvements linked to this project will get residents to employment hubs and entertainment centers faster and more efficiently,” said Quinn. The North Avenue corridor is home to Baltimore institutions such as Coppin State University and the Maryland Institute College of Art. MDOT MTA and Baltimore have worked together with the common goal of revitalizing North Avenue to its full potential.